There is no doubt that the Whole 30 program is life changing. But whether you are multi-tasking from your desk, library or at home, we still need a few snacks through-out the day to keep us going. 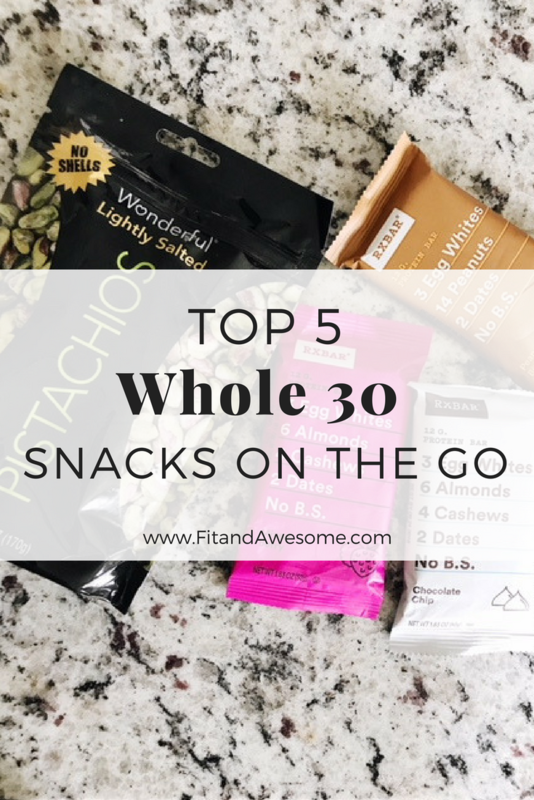 I’m sharing my Top 5 Whole 30 compliant snacks for munching on the go! Wonderful Pistachios – I spoil myself and buy the no-shell pistachios. So much easier to grab a few and pop them in my mouth when I am on the run. RX Bars – Now that I’ve discovered RX Bars are Whole 30 compliant, I am stashing these in my work bag at all times. They are filled with flavor and keep you satisfied. Country Archer Jerky – This brand is one of my favorites, but please be aware that only the beef and turkey sticks are Whole 30 compliant. These sticks are filled with amazing flavor and a quick snack on the go! Apple Slices with Nut Butter – An apple is the easiest desk snack but to add a little flavor, pinch cinnamon on top or your favorite nut butter on the side. Dang Coconut Chips – These are delicious but please be aware that to remain on your Whole 30 plan, you need to purchase the flavor with no added sugar. The best part about these snacks is you don’t even feel like you’re following a Whole 30 diet. Each of these are filled with so much flavor that will break through that morning or afternoon snack attack. I love that I can grab and go with an RX Bar or keep a bag of pistachios in my desk drawer. 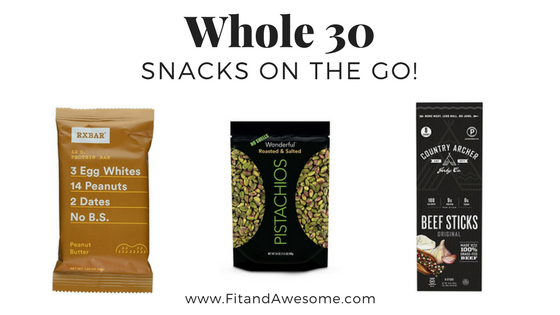 What are your favorite Whole 30 snacks? Do you keep it simple with prepackaged items?